Waste managers Cleansing Service Group (CSG) have pledged a £1,000 donation to a memorial fund set up to commemorate the victims of one of Manchester’s worse peacetime disasters. 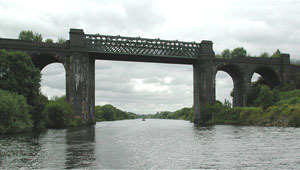 Five men died in April 1970 when a small open-boat passenger ferry – Bob’s Ferry – crossing the Manchester Ship Canal between Cadishead and Partington was engulfed in 60ft high flames rising along a mile long section of the canal. The fire had been caused by the discharge of fuel oil from a tanker unloading at a nearby terminal, and occurred in a section of the canal adjacent to CSG’s present-day waste treatment facility at Cadishead which at the time of the accident was operated by Lancashire Tar Distillers. Over 200 people are expected to take part in a memorial cruise to the disaster site on April 30 when wreaths will be dropped into the water. Signs describing the tragedy are also to be erected in the area, and there are plans for a permanent memorial in the future.